Numerous attractions included in the area are pristine beaches offering swimming, surfing, SUP Boarding and windsurfing. Visit award winning wineries, relaxing cafes with great food and service and quality restaurants such as The Stables, Leigh Sawmill, ,Matakana Village Hotel, Ascension Wine Estate, Wharf Street Bistro, Brick Bay Winery and many more. Great local fishing and diving locations nearby. Take the ferry to historic Kawau island or walk the nearby Brick Bay Sculpture Trail. Explore the famous Matakana Village Markets or go on an Oyster shucking cruise on the Mahurangi River. Visit local Artisans such as the world famous Morris and James Pottery. Enjoy a boutique beer at the new Sawmill Brewery. Discover the Matakana Wine Trail and experience a taste of this fast expanding wine region. Visit Goat Island Marine Reserve and take a Glass Bottom Boat tour and see the amazing marine life. Visit Scandrett Regional Park and explore the restored homestead and farm buildings on the waters edge. Visit Highfield Garden reserve and feed the Donkeys while taking in the stunning panoramic views of Kawau Bay. Enjoy horse riding along the beautiful isolated Pakiri Beach. So much to see, so much to do, a perfect holiday destination. Just 50 Mins drive from Auckland, it is located in the heart of the scenically stunning Kawau Bay. It’s a beautiful home. We loved our stay there. It had everything we needed -the location was tops! Fabulous! We would come back for a longer stay so we could relax more, enjoy cooking on the bbq and alfresco dining and just enjoying life as a family. We really loved the owners who were really helpful. Thank you Martin! Kawau Bay Beach House is one of the nicest places we've stayed in so far during our travels in NZ. 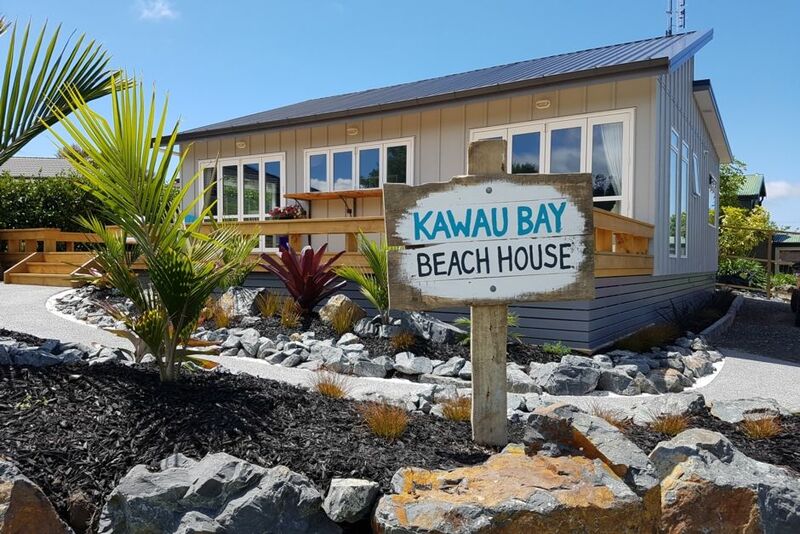 Kawau Bay Beach House is one of the nicest places we've stayed in so far during our travels in NZ. It is very clean, well-equipped, comfy and with lovely decoration so we instantly felt at home. There is so much to see and do close by that we wished we'd booked for longer. Hopefully will be back soon! Good location handy to all the attractions in the area. Good location handy to all the attractions in the area. Quiet area. Beautiful house, very clean and homely feel. Beautiful house, very clean and homely feel. Can’t wait to visit again! Great location in the Snells Beach area, off main road in a quiet and private cul de sac. Thanks Ed for your comments, would happily welcome your family back anytime.